By staying involved with SIUE, you can continue to make new friends, expand your career network, learn something new and help strengthen the future of the University. Cougars should stay connected! Check out the Chapter and Group oppotunties we offer and join one today. A new Chicago Alumni Chapter has been established in 2017! 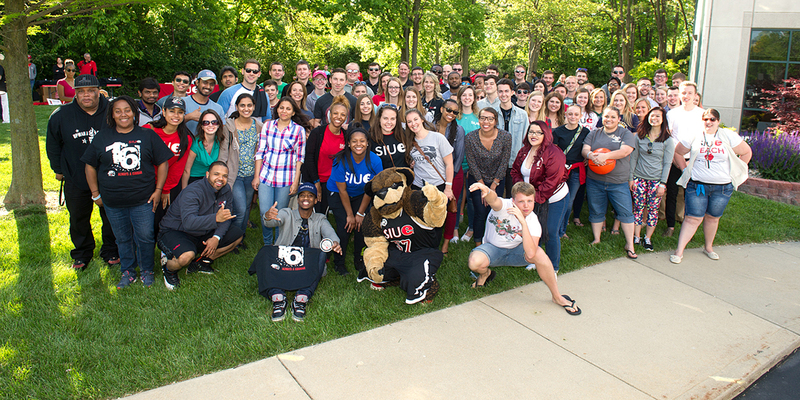 The Class of 2019 is participating in a tradition that encourages students to make a gift to SIUE during their graduation year. Make a gift today and receive your Philanthropy Cord. The Alumni Mentor Program provides the opportunity for SIUE alumni to connect with current students who are looking for encouragement and guidance with career choices. Support your alma mater by referring a student to us. Information on admissions is available on our website. There are several opportunities to volunteer with various areas of the University, including friends’ groups, unit advisory boards and special alumni programs within the College and Schools. In addition, some Alumni Association Board committees welcome “Alumni at Large” members. Alumni who live near campus may participate in a rich variety of Educational Outreach sessions. By making a gift, you can choose to support your College or School, student scholarships, Cougar Athletics or many other programs. Check out the many ways that you can show your pride in SIUE! Are you looking for SIUE apparel and merchandise? Look no further!